The car to be known in its final development stages as the W427 is finished in the same Panorama Silver paint scheme as the original Group A SS VL Commodore, released at the Melbourne Motor Show of 1988, exactly 20 years ago. 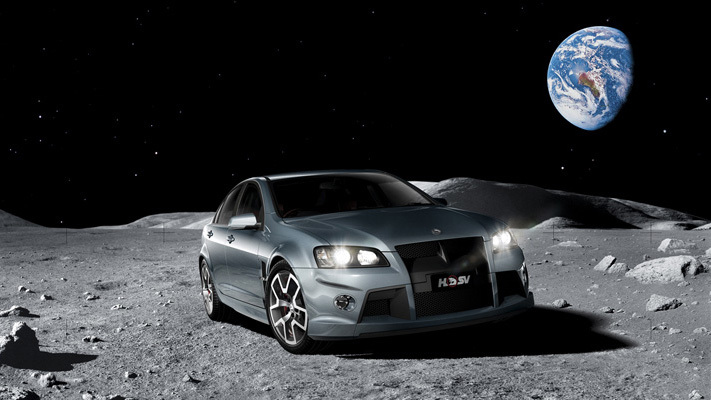 HSV Managing Director, Scott Grant, said the W427 was a tribute to how far the company has come in just twenty years. "To be able to produce a vehicle of these proportions is truly remarkable," Scott Grant said. "The W427 will be quite possibly the fastest road registrable Supercar ever produced in Australia and among the quickest anywhere around the world," he said. While power output figures are still to be confirmed, the W427 is likely to produce in excess of 370kW of power and 640NM of torque. 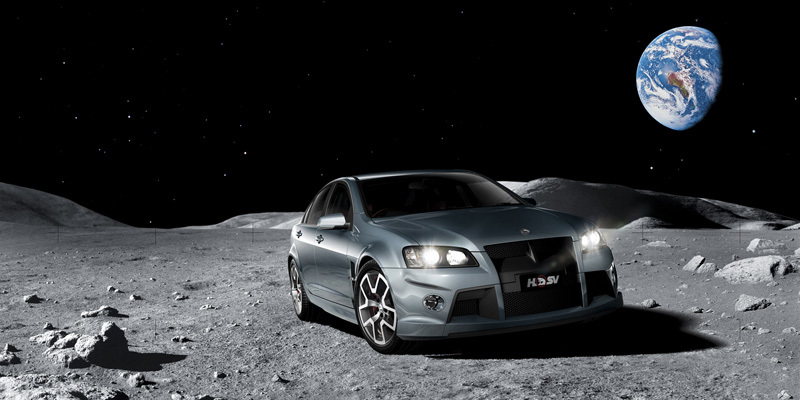 "It will also be one of the safest cars HSV has ever put on the road," Scott Grant said. "A new six piston front braking system will provide a 50% increase in pad area, while the W427 also receives a revised ESP calibration, six air bags, improved handling and new Magnetic Ride Control settings." The W427 receives a bimodal active exhaust system to improve noise quality and back pressure management. Styling and design highlights include an all new front fascia, a three piece carbon fibre rear spoiler, 20 inch machined faced alloy wheel, unique exhaust tips and red leather interior. Scott Grant said HSV would be introducing a unique customer relations program to accompany the launch of the new vehicle. "The W427 will only be produced in limited numbers and we want to reflect that exclusivity in how we connect with our Supercar customers," Scott Grant said. "This program will see the LS7 engine being fitted at Clayton, along with the dry sump system and a range of other engineering features. We are looking at opportunities to allow owners to visit HSV and view the unique manufacturing process that goes into building this car." The W427 will go into production in the middle of the year and will be available for sale in dealerships in the third quarter of 2008. "Make no mistake, while the specifications of the car unveiled on the stand today at the Motorshow may change slightly between now and when production begins, this car is destined to make as big an impact as the original Walkinshaw twenty years ago."